I'm Back Here For Wishing You all my esteemed Readers A Prosperous happy New Year. 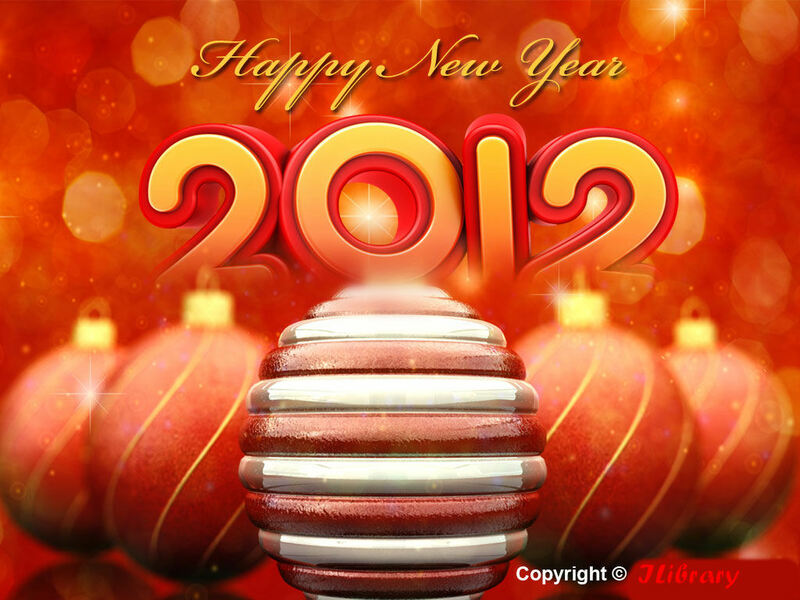 "New Year 2012 is here. With the advent of new year, a new era begins and with it comes new hopes and new possibilities. Every year teaches us some of life's most important lessons, and with that learning we put our step forward into the new year. And, when we celebrate this very special occasion with our loved ones, the happiness just doubles. For this very purpose, we bring to you our latest collection of new year wishes, messages, quotes. Get ready and welcome the year 2012 with a bang." After my previous post Tynt Solutions [The Best Way To Protect], I'm here back with a cool new post. In This Post i'll let you get a free Domain For Your Business, and let it go Online. Not Only that you will also get a 2500/- ADWORDS Camping for free. Just Read Bellow To Get A Detailed Summary to make your Business Online. Keep Reading And Keeping Enjoying..
Let's See What They Say..
India Get Your Business Online is a Google-led program to help Indian businesses go online and succeed. Small businesses are vital in their contribution to India’s socio-economic development. The nation’s small businesses account for 95% of the industrial units in the country and are the second largest employers of human resources. Almost 45% of the total exports from India are dependent on small businesses. Although majority of consumers look online for local products and services, small businesses do not have a website or online presence. This makes them invisible to many potential customers. 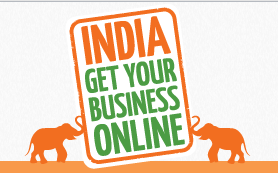 India Get Your Business Online provides companies with a free website and online tools so that they can run their businesses efficiently. Still Confused ? Get the Guide By Clicking Here. So Why Waiting For ? It’s coming up to that time of year again when shops play an endless array of tracks like “Jingle Bells” and ‘Silent Night”, Christmas trees become laden with gifts thanks to your own cold hard cash, you still haven’t stuffed the turkey or sent your cards, shopping is a nightmare and you still haven’t made your New Year’s resolutions for 2012. It’s a crazy time of year and if the idea of simply escaping it all springs to mind, you wouldn’t be the first. And after all, why not? The New Year’s resolutions can wait until you return and someone else can deal with Christmas dinner. We have chosen five very different winter vacations destinations that should cater for just about every taste, ranging from desert adventure to beachside bliss. These are places you can truly have a winter holiday, whether that be by embracing all that cold and snow on the icy slopes of Vancouver, getting into the Christmas spirit in New York, or surfing your Christmas Day away on Bondi Beach. If you fancy the idea of a summer of fun rather than a winter of discontent, Sydney is perfect for a vacation at this time of year. Pack your shorts and bikinis for this trip, you will definitely be able to thaw out your winter body. If you make it in time for Christmas consider heading to Bondi Beach on December 25 for what has become the quintessential way to spend Christmas Down Under. The iconic beach becomes awash with sweating Santas in board shorts and international holidaymakers who come for the communal celebrations complete with the ocean dip and plenty of fun and sun. There are so many things to see and do in Sydney so don’t just get stuck at one of the city’s great beaches, although a trip across the harbour to Manly should be done at some point. Most tourists make for beautiful Sydney Harbour to see the bridge, opera house and the historic Rocks district. Certainly don’t miss them but there’s a lot more to Sydney than this – you can eat out on varied cuisine in Newtown, shop at the eclectic Paddington markets, experience pumping pub and bar action in King’s Cross, day trip to the beautiful Blue Mountains, or even wine taste in the Hunter Valley. If all this activity keeps you busy right until New Year’s Eve then the best location for this is waterside in Sydney Harbour for the famous annual firework display. Sydney has an array of accommodation available in areas across the city ranging from basic backpacker to high-end luxury. If you want to base at the beach you might like to try options in Manly, Bondi or Cronulla, or the fabulous Kims Beach Hideaway just out of the city at Toowoon Bay. In the city centre there are the usual options like the Hilton, Sofitel or The Westin. If you fancy going somewhere away from all the usual commercial trappings then the palm-fringed, warm and welcoming beaches of Phuket in southern Thailand might be the answer. Thailand is a Buddhist country so Christmas celebrations are generally fairly toned down in comparison to the Western world, but the friendly Thais will still make an effort on your behalf. So if you want a Christmas dinner without having to organize it, simply book into a local restaurant and have them take care of it for you. For the sun-seekers out there you’ll be pleased to know that there’s plenty of sunshine to enjoy at this time of year. It’s a fabulous place also to get in some shopping, massage therapy and some serious chill-out time. Phuket is awash with resorts, hotels and guesthouses. It has developed a lot in recent years but, if you look hard enough, you will still find your quintessential Thai beach hut for a few dollars a night. At the other end are five-star resorts costing hundreds of dollars a night, and there is something for every budget in between. For real peace and quiet check out some of the smaller islands near Phuket. For a completely unique stay consider a sojourn at the fabulous Racha resort on Racha Yai Island, 35 minutes by boat from Phuket. You’ll feel a million miles away from everything at the Racha with white sands and turquoise waters to enjoy at the villas overlooking Batok Bay. Walk, bike, snorkel, swim or simply relax and take advantage of the holistic treatments on offer. We’ve gone out on a limb with the idea of promoting a rather obscure destination in our list of five winter getaways, but Abu Dhabi rarely gets a good tourism plug so here goes. For those seeking an escape from the Christmas hype, you will get this here – there will be no jingle bell choruses in the shopping malls here thank you very much. The United Arab Emirates is a Muslim nation and while you will find churches here celebrating Christmas, they obviously don’t advertise themselves as flagrantly as in Christian countries. Abu Dhabi is the capital and is actually located mostly on an island on the Persian Gulf in the Arabian Peninsula. While it is a hot place most of the year, it is coolest between November and March with 20-30 degree temperatures, perfect for those who prefer a warm, but-not-too-warm, climate. There are plenty of things to see and do in Abu Dhabi with 400km of coastline including 10 public beaches, 20 parks and gardens, an array of architecture to admire including 382m high skyscrapers, old mosques, dhow sailing, museums and islands to explore. You could stay at the Emirates Palace while you’re in Abu Dhabi, the second most expensive hotel ever built. If your budget doesn’t quite stretch to US $800 plus per night, then perhaps consider the Desert Islands Resort and Spa located on Sir Bani Yas island where you can enjoy spacious suites and rooms, relax in the infinity pool or even take a game drive through the wildlife sanctuary located on the resort’s doorstep. If you want a vacation but don’t want to miss out on the Christmas festivities, the Big Apple is the perfect place to visit. Chances are you’ve already had a peep at what it looks like at Christmas time thanks to the many movies that are shot around New York, but nothing beats going there yourself. In New York they do Christmas with aplomb. That means roasted chestnuts, ice skating in the major parks, colourful shop decorations and Central Park decked out with snow like a fairyland. Some say Christmas begins when the Macy’s Thanksgiving Day Parade is held on the fourth Thursday in November, while others declare it’s when the Christmas tree at the Rockefeller Centre (right) is lit, a tradition dating back to 1933. Both are equally fantastic. Other Christmas traditions in New York include the Radio City Music Halls Christmas show featuring the “Rockettes” 36 dancing girls, the Black Friday sales held the day after Thanksgiving where you can find 50-70 percent off, standing in line at the world’s biggest toy store FAO Shwartz and taking the kids to Santa Land at Macy’s. Accommodation in New York can range from backpacker haunts through to classy high-end Manhattan hotels. Unfortunately it’s always expensive despite the economic troubles that have plagued the USA in recent years. Mostly you’re looking at $100 a night for a private room. For something quite original consider a stay at The Inn at Iriving Place, a Victorian townhouse that was built in 1834 in the quiet tree-lined area of Gramercy Park. This park is actually Manhattan’s last remaining private park and the inn itself looks more like a family house than a hotel. Inside the rooms and suites are in keeping with the homely, elegant period with ornate mirrors and various antiques. Well located for access to Greenwich Village, Broadway, Madison Avenue and other famous locations. Adjust your goggles and swallow that adrenaline, a winter holiday in Vancouver is all about action on the slopes. If you like bundling up and getting out into the snow and ice, this is the location for you this winter. Vancouver hosted the 2010 Winter Olympics, so when it comes to skiing, snowboarding and snowshoeing they know how it’s done. Vancouver boasts three world class ski facilities locally at Grouse Mountain, Cypress Bowl and Mount Seymour. Here you can try out downhill runs, cross-country skiing and snow show trails. Or venture a little further afield to Whistler or Blackcomb, about two hours north, where 8,000 acres are there to play with featuring 5,280 feet of vertical, 200 trails and fantastic downhill and heli-skiing. The other great thing about Vancouver is that when you tire of the snow action or the hours of daylight run out, there’s plenty of night time entertainment including fine dining and shopping and a number of local historic monuments. Most hotels in Vancouver are in the downtown or West End which are within walking distance of the major sights. Places to look out for include Vancouver’s most famous landmark hotel, the Fairmont on West Georgia Street. Alternatively try the Georgian Court Hotel located right in the heart of Vancouver. It was designed by award-winning Canadian interior designer Robert Ledingham and features spacious rooms with nine-foot ceilings and opening windows, a floor dedicated to female guests, three restaurants and comforts like a spa and jacuzzi. There are some other great touches too, like the bikes available from reception with which you can explore the city’s cycle paths. Stop trying to compete against everyone else. – Don’t worry about what others doing better than you. Concentrate on beating your own records every day. Success is a battle between YOU and YOURSELF only. In This Post i'm going to say something unique and Special.. This post is specially meant for BLOGGERS . After reading this post you will be able to have a tight records of your BLOG in other words you can know what content is been copied from your site. Here i'm Describing in detail.. In the world of digital advertising, only Tynt can accurately predict consumer behavior on the Web. Through a vast network of publisher partnerships, Tynt sees 3 out of every 4 of the world’s unique Internet users to capture information on their interests and interactions online. This data represents the Interest Graph, and provides an accurate measure of consumer intent. This insight gives advertisers the tools they need to react quickly to new opportunities; to anticipate marketing spend and to realize both short and long term goals. Tynt is the first-of-its-kind ad network to revolutionize online customization, delivering the right message, to the right person, at the right time. Who Are Using Tynt ? More than 500,000 Clients take advantage of the tools and solutions available from Tynt. Here are just some of the clients they’re proud to be working with today. We all need second chances. This isn’t a perfect world. We’re not perfect people. I’m probably on my 1000th second chance right now and I’m not ashamed to admit it. Because even though I’ve failed a lot, it means I’ve tried a lot too. We rarely get things right the first time. Almost every major accomplishment in a person’s life starts with the decision to try again and again – to get up after every failed attempt and give it another shot. What’s done is done. When life throws us nasty curveballs it typically doesn’t make any sense to us, and our natural emotional reaction might be to get extremely upset and scream obscenities at the top of our lungs. But how does this help our dilemma? Obviously, it doesn’t. The smartest, and oftentimes hardest, thing we can do in these kinds of situations is to be more tempered in our reactions. To want to scream obscenities, but to wiser and more disciplined than that. 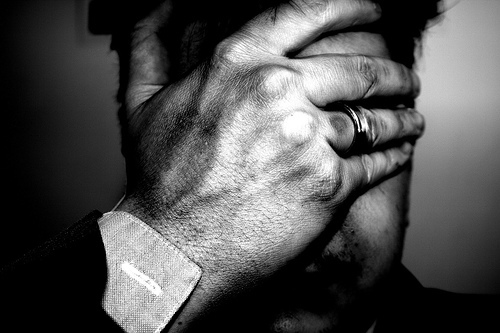 To remember that emotional rage only makes matters worse. And to remember that tragedies are rarely as bad as they seem, and even when they are, they give us an opportunity to grow stronger. Every difficult moment in our lives is accompanied by an opportunity for personal growth and creativity. But in order to attain this growth and creativity, we must first learn to let go of the past. We must recognize that difficulties pass like everything else in life. And once they pass, all we’re left with are our unique experiences and the lessons required two make a better attempt next time. Never forget to acknowledge the lesson, especially when things don’t go yourway. If you don’t get a job you wanted or a relationship doesn’t work, it only means something better is out there waiting. And the lesson you just learned is the first step towards it. 3. Lose the negative attitude. Every one of the other suggestions in this article is irrelevant if your mind is stuck in the gutter. Positive thinking is at the forefront of every great success story. The mind must believe it can do something before it is capable of actually doing it. For some practical positive thinking guidance I recommend readingThe Power of Positive Thinking . 4. Accept accountability for your current situation. You are the only one who can directly control the outcome of your life. And no, it won’t always be easy. Every person has a stack of obstacles in front of them. 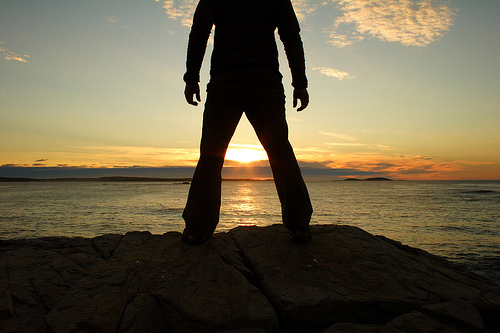 You must take accountability for your situation and overcome these obstacles. Choosing not to is giving up. 5. Focus on the things you can change. 6. Figure out what you really want. Don’t quit just because you didn’t get it right on your first shot. And don’t waste your life fulfilling someone else’s dreams and desires. You must follow your intuition and make a decision to never give up on who you are capable of becoming. First, identify the essential – the things in your life that matter most to you. Then eliminate the fluff. This drastically simplifies things and leaves you with a clean slate – a fresh, solid foundation to build upon without needless interferences. This process works with any aspect of your life – work projects, relationships, general to-do lists, etc. Remember, you can’t accomplish anything if you’re trying to accomplish everything. Concentrate on the essential. Get rid of the rest. The Joy of Less is a great read on this topic. When you set new goals for yourself, try to be as specific as possible. “I want to lose twenty pounds” is a goal you can aim to achieve. “I want to lose weight” is not. Knowing the specific measurements of what you want to achieve is the only way you will ever get to the end result you desire. Also, be specific with your actions too. “I will exercise” is not actionable. It’s far too vague. “I will take a 30 minute jog every weekday at 6PM” is something you can actually do – something you can build a routine around – something you can measure. 9. Concentrate on DOING instead of NOT DOING. “Don’t think about eating that chocolate donut!” What are you thinking about now? Eating that chocolate donut, right? When you concentrate on not thinking about something, you end up thinking about it. The same philosophy holds true when it comes to breaking our bad habits. By relentlessly trying not to do something, we end up thinking about it so much that we subconsciously provoke ourselves to cheat – to do the exact thing we are trying not to do. Instead of concentrating on eliminating bad habits, concentrate on creating good habits (that just happen to replace the bad ones). For instance, if you’re trying to eliminate snacking on junk food, you might create a new mental habit like this: “At 3PM each day, about the time I’m usually ready for a snack, I will eat five whole wheat crackers.” After a few weeks or months of concentrating on this good habit it will become part of your routine. You’ll start doing the right thing without even thinking about it. 10. Create a daily routine. It’s so simple, but creating a daily routine for yourself can change your life. The most productive routines, I’ve found, come at the start and end of the day – both your workday and your day in general. That means, develop a routine for when you wake up, for when you first start working, for when you finish your work, and for the hour or two before you go to sleep. Doing so will help you start each day on point, and end each day in a way that prepares you for tomorrow. It will help you focus on the important stuff, instead of the distractions that keep popping up. And most importantly, it will help you make steady progress – which is what second chances are all about. 11. Maintain self-control and work on it for real. If you want a real second chance, you’ve got to be willing to give it all you got. No slacking off! This means you have to strengthen and maintain your self-control. The best way I’ve found to do this is to take one small bite of the elephant at a time. Start with just one activity, and make a plan for how you will deal with troubles when they arise. For instance, if you’re trying to lose weight, come up with a list of healthy snacks you can eat when you get the craving for snacks. It will be hard in the beginning, but it will get easier. And that’s the whole point. As your strength grows, you can take on bigger challenges. Remember, life is not easy, especially when you plan on achieving something worthwhile. Achieving your dreams can be a lot of work, even the second time around. Be ready for it. Read Getting Things Done for some practical guidance in this arena. 12. Forget about impressing people. Don’t be one of these people. It’s a waste of time. And it’s probably one of the reasons you need a second chance in the first place. Just keep doing what you know is right. And if it doesn’t work, adjust your approach and try again. You’ll get there eventually.